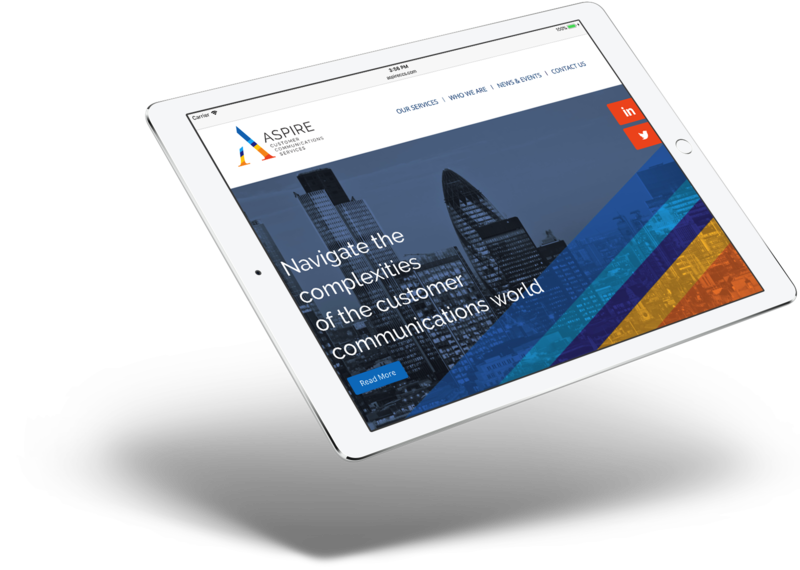 Our passion is to help companies successfully navigate the complexities of the changing customer communications world. Sign up for a free account to access our interactive vendor comparison tool and the latest industry insights. Or, sign up for a paid version to enable advanced filtering and get access to premium (RFP-related) insights. Whether you’re in marketing, IT or the line-of-business, investing in new technology to communicate and interact with customers can be complex and overwhelming. 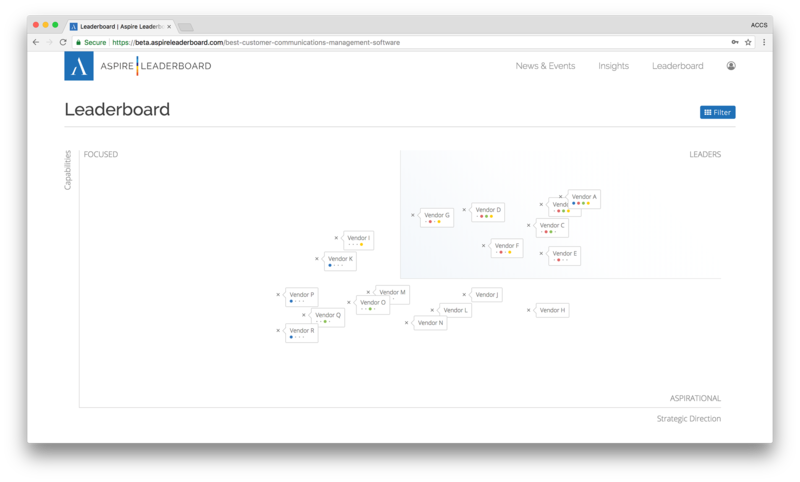 The Aspire Leaderboard is an interactive, online tool that dynamically visualizes the CCM vendor landscape. Discover highly relevant information quickly and easily, tailored to your job role and organization type. 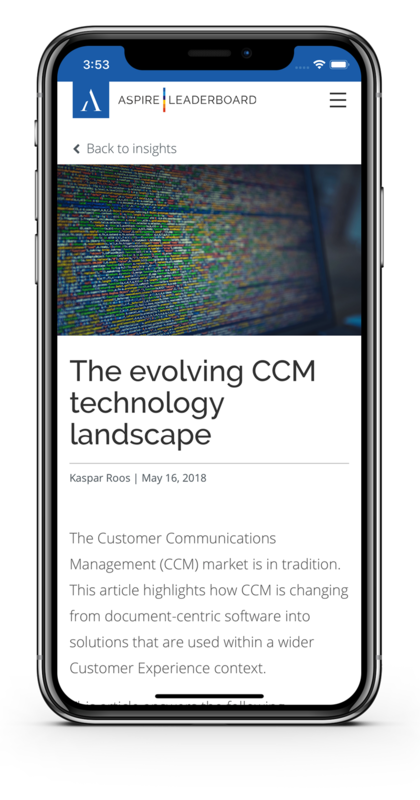 The Customer Communications Management (CCM) industry is in transition and converging with the Digital Customer Experience (DCX) market. Our insights provide clear, relevant, and up-to-date coverage of the evolving market. Please visit our Aspire CCS website for more information. "I have never seen such a thorough market representation"
"The Aspire Leaderboard is an exciting, new concept that provides an unmatched view into the CCM market"
"The Aspire Leaderboard is a really helpful tool"